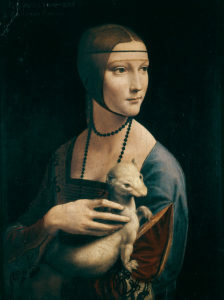 Leonardo da Vinci “Lady with an Ermine” has left chambers Wawel Royal Castle, where she spent last 5 years. Since 18th of May the painting is displayed in the Main Building of the National Museum in Krakow. 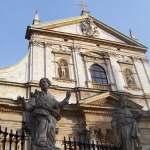 The most valuable painting of Leonardo da Vinci in Polish collection was purchased ca. 1800 in Italy, by Adam Jerzy, the son of Princess Izabela Czartoryska, and donated to the Museum in Puławy where it was exhibited in the ‘Gothic House’ from 1809–1830. It was displayed in the Princes Czartoryski Museum till its closure to the public in 2010.  In 2016 the portrait became the property of the Republic of Poland and had been handed over to the National Museum in Krakow. The subject of the portrait is Cecilia Gallerani (ca. 1473-1536), a reputed mistress of Lodovico Sforza, Duke of Milan, also known as ‘il Moro’ (the Moor). The ermine in the portrait commissioned by him is an allusion to Duke Sforza himself, who was also referred to as the White Ermine (Ermellino Bianco). The portrait embodies the Renaissance idea of an image as an illusion of natural vitality. The artist managed to achieve this thanks to his knowledge of anatomy and his lighting skills, which enabled him to create a three-dimensional human figure on the image plane. The original background, which was overpainted with black in the 19th century, was also modelled with light just like the figure, which must have given the impression of the model emerging from the shadows.